We are making Tsukesoba Kamo Nanban-style with chicken instead of duck. 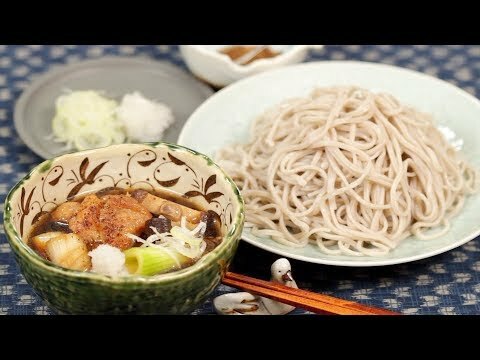 The original version of this recipe is known as Kamo Seiro Soba. Since kamo, duck meat isn’t easily available in Japan, chicken is often used in home cooking. The savory umami of chicken and shiitake makes the broth absolutely delicious! We would appreciate it if you could add subtitles to this video! http://www.youtube.com/timedtext_video?ref=share&v=dvxPzpyog8g Thank you for your support! Order Francis T-shirts and Apron! Order Francis Bento Box, Bento Bag, and Chopsticks!